NEWARK – Fifteen businesses, including five in Middlesex County, have been issued Notices of Violation (NOVs) from the Division of Consumer Affairs for allegedly failing to properly disclose practices relating to the preparation, handling and sale of food sold or served as halal, as required by the state’s Halal Food Consumer Protection Act (“HFCPA”) and the Halal Food Regulations, Attorney General Christopher S. Porrino said in a statement Monday. The businesses cited include Red Chutney and Shalimar Grill & Restaurant, both in the Iselin section of Woodbridge, Sahara Restaurant Bakery in New Brunswick, Mirichi Indian Homestyle Cuisine in North Brunswick, and Café Colore Italiano in the Monmouth Junction section of South Brunswick. Each NOV carries a $500 civil penalty. The use of halal foods — those permitted by Islamic dietary rules — is important to Muslim’s celebrating the religious holiday of Ramadan, which begins on or about May 26 this year, the statement said. In preparation of the month long religious observation, inspections from the Halal Enforcement Unit within the Division’s Office of Consumer Protection visited 110 establishments from Passaic to Camden counties to ensure compliance with the state laws designed to protect the halal-buying public. Because “halal” is a religious designation with standards that differ between Muslim communities, the state does not attempt to define halal by statute or regulation. But New Jersey’s Consumer Fraud Act requires businesses to live up to the promises and representations they make when selling merchandise, including food, to the public. Among the state laws pertaining to the sale of halal food, dealers must prominently display disclosure statements providing important information about the foods they prepare and market as halal, such as whether it contains pork products or alcohol and whether it was prepared using the same or separate cutting boards and refrigerators used for non halal foods. These and other practices are permitted under state law, as long as the business accurately provides the information in a disclosure statement readily visible to consumers. The business also must provide the same information to the Division of Consumer Affairs. “Our laws help ensure a fair and honest marketplace in the sale of halal foods and these disclosure statements are essential to that goal,” said Steve Lee, director of the Division of Consumers Affairs. With the enactment in 2000 of the HFCPA, New Jersey became one of the first states to specifically protect the halal-buying public by requiring food sellers to disclose important information to the public. An exception applies to businesses that sell halal foods in sealed packages from the original producers. If a business sells halal food that is in its original sealed package, the business is exempt from the disclosure requirements. Sellers of halal foods may choose to be supervised and certified by an independent halal certification agency. All halal certification agencies that supervise food dealers in New Jersey must provide the Division of Consumer Affairs with an annually updated list of the names, addresses, and types of establishments they supervise. Consumers, businesses, religious organizations or halal certifying agencies seeking additional information about the Division’s halal food enforcement can call 973-792-4217. 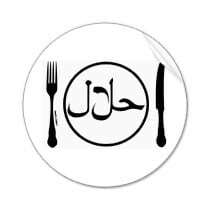 Consumers, and establishments that sell halal foods, may visit www.njconsumeraffairs.gov/halal, for additional information.